I gave the following talk at the 'Socially Engaged Art Salon' (SEAS) Open House exhibition during the Brighton Festival in May 2017, where my portraits of Touareg villagers from Timbuktu were on show. The people in the photos on display in this exhibition are all Touaregs from Timbuktu and the nearby villages of N’Dala and Togha. In some ways you could say that the lives of these villagers have been marked for generations by displacement and movement – both voluntary and involuntary. The Touareg are traditionally a nomadic people - their story has always been one of movement. 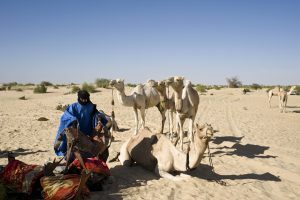 Their traditional way of life is based around seasonal migrations, and is dependant on their ability to pack all their belongings onto camels and donkeys and head across the desert in search of water and pasture for their animals. There are also the legendary camel salt caravans – which do still take place, although far less frequently nowadays – in which the Touareg lead their camels many hundreds of miles across the desert to bring back huge tablets of salt from the north of Niger and Mali. The reality of Touareg life nowadays is somewhat different however. Successive droughts and conflicts in the north of Mali and Niger and the south of Algeria have driven many Touareg to abandon their traditional nomadic culture and seek a sedentary, settled lifestyle. 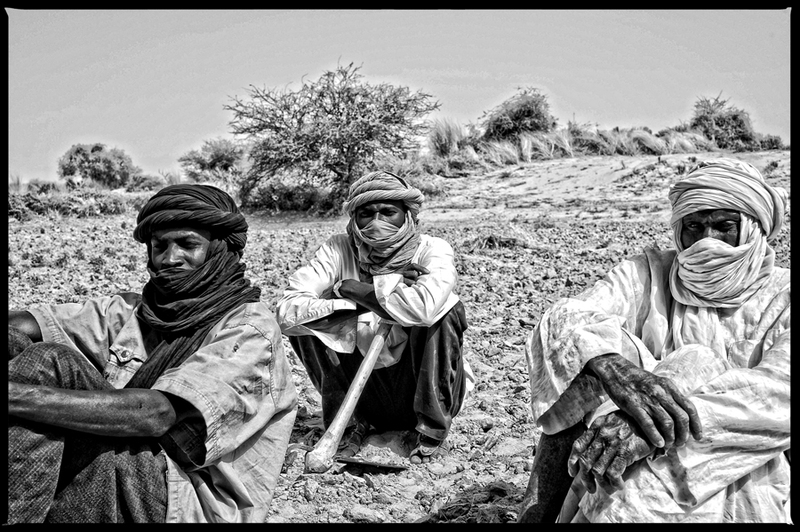 Following particularly severe droughts in the 1970’s and 80’s, coupled with conflicts between Touareg and the Governments of Mali and Niger, many Touareg lost their entire herds and were forced to seek menial work in the towns, and some were even driven to beg for a living – both of which would have been utterly unthinkable before. The story I wanted to tell with these photos however, is not about the loss of a traditional culture, but rather a celebration of the resilience, strength and resourcefulness of the Touareg people to adapt their culture and way of life to extremely difficult and challenging circumstances. The people and communities featured in these photos have succeeded in avoiding the fate of many other Touaregs, through achieving what could be called a ‘cultural compromise’. When they could no longer lead their traditional nomadic way of life, instead of dispersing to the towns and cities in search of elusive employment, they chose to stay together in their community groups and establish settled village communities in the Timbuktu region. 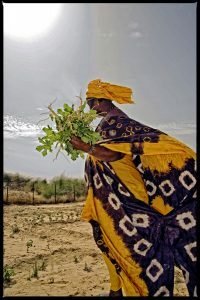 With the help of the UK based charity Jump 4 Timbuktu, wells were sunk; gardens were established, and the villagers were trained in gardening techniques. 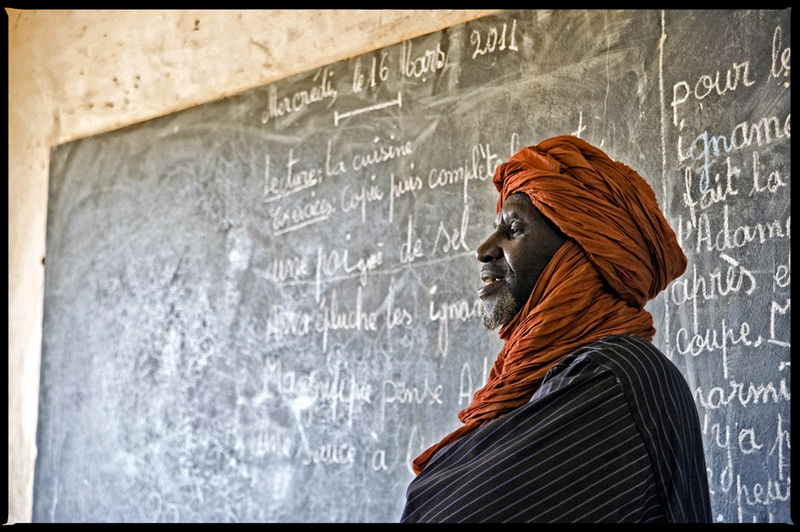 A school was also founded in the village of N’Dala, with the help of funding from friends in the UK. This change of lifestyle has allowed these communities to stay together and to keep much of their traditional culture alive, albeit undertaking activities that their ancestors would have considered beneath them. 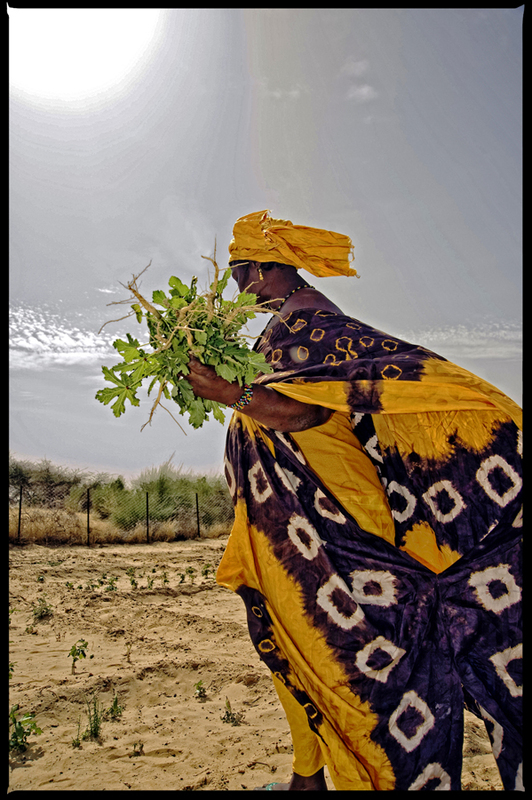 To a traditional nomadic Touareg, farming is a demeaning activity. All of this progress was interrupted however in April 2012, when extremist groups jumped on the back of a Touareg rebellion and took over the town of Timbuktu and much of that region. (You may have read about this in the news at the time). The extremists imposed an intolerant and harsh form of sharia law, which was completely anathema to the tolerant and gentle form of Islam practised by the Touareg. Among other restrictions, music was banned; yet music is an integral part of Touareg culture – you may as well tell a Touareg to stop breathing as stop playing or listening to music! 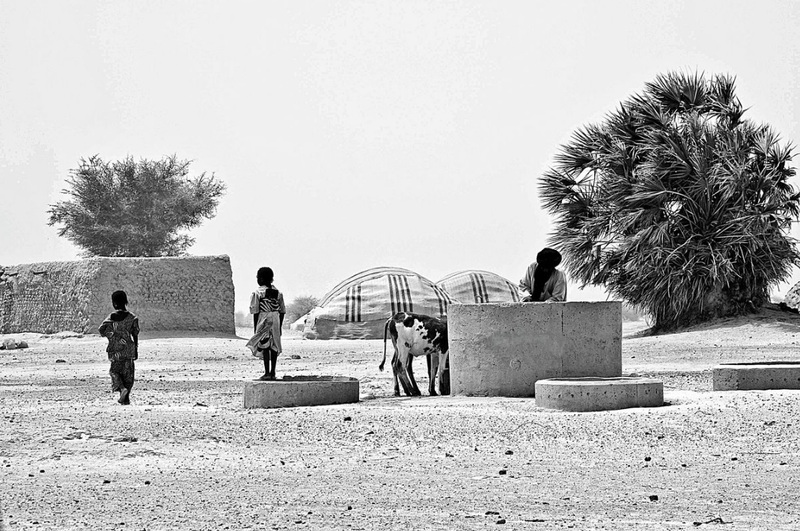 As a result, many of the Touaregs from Timbuktu, and most of the villagers in these photos fled into exile mainly to Burkina Faso, but also to Niger or Mauritania. Some of them managed to find somewhere to stay with relatives, but many ended up in refugee camps; a large number were even sleeping for some time in the football stadium in the capital Ouagadougou. Since 2013, when the French and Malian armies managed to dislodge the extremists, the villagers have begun slowly to return to Timbuktu. However a number went back into exile when it became clear that the region was still unstable, and others have still not returned home. I have learnt recently that since the return of many of the villagers, Jump 4 Timbuktu has continued to support the garden projects in Ndala and Togha villages with small grants towards seeds, refencing etc. They have also funded a second well in Togha village due to the expansion of the village garden which seems to be going very well. Jump 4 Timbuktu has also been supporting one of the artisan associations of Timbuktu by selling their jewellery in a small gallery in Hay on Wye, which provides them with a small income. Unfortunately they are no longer selling the jewellery on their website. There are also plans for a dispensary in N’Dala village, with at least one or two villagers trained in basic first aid. In addition, the Malian government has approved funding to double the size of the school in N’Dala village by adding 3 classes. 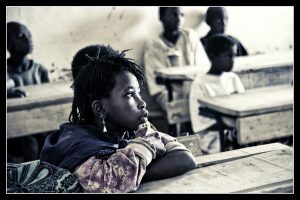 However this will still leave a staffing problem; even if the government provides the funding for teachers, none of them want to go to northern Mali because of the present security situation. (There was an attack by a new extremist group only last week on the UN headquarters in Timbuktu). The ultimate aim of these projects is to help the villages to become at least partly self-sufficient. Everyone’s hope is of course for long-term peace to be restored in the region, which will allow outside investment and tourism to return – along with the rest of the exiles - and the people of Timbuktu will be able to return to a normal life again.